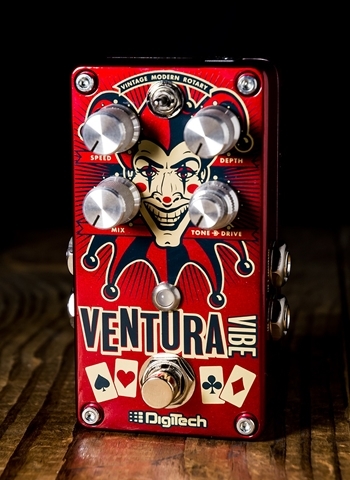 The Ventura Vibe’s stellar rotary and vibrato effects are complimented by stereo 1/4” inputs and outputs for routing flexibility, constant high voltage rails, a bicolor status LED indicator and true bypass circuitry. With its compact size, vacuum-style footswitch and striking graphics the Ventura Vibe furthers DigiTech’s evolution in pedal design. We’ve put years of experience into every detail of its mechanical and sonic blueprint.